Torea was ordered from the Lewis Brothers by an accountant in Unley, Adelaide, in the early sixties. It is believed the original owner used the boat in the riverland for recreational use. Exactly where it was used is a mystery, as is the original owner's name. The owner had the boat until work commitments forced him to sell. It was advertised for sale in the Adelaide Advertiser in 1970. The next owner would keep the boat for 14 years. 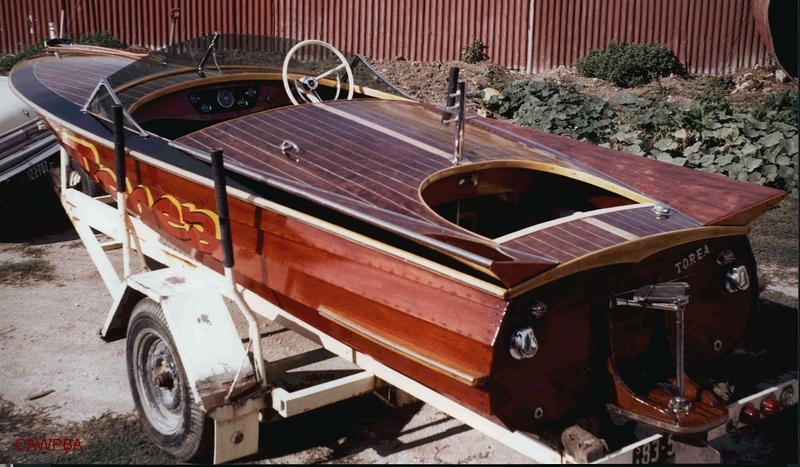 When purchased, the boat was re-varnished and re-stained. 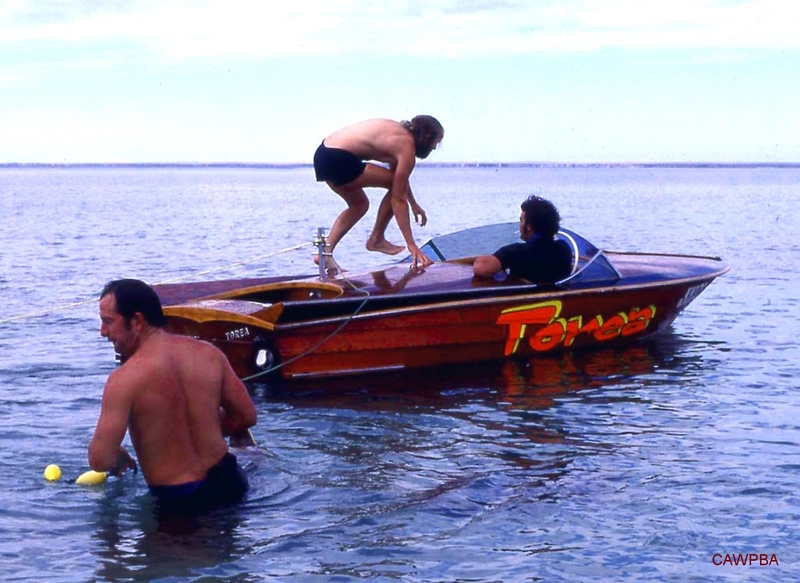 It was used extensively around the Point Turton area of the York Peninsula, South Australia, and occasionally at Barmera in the riverland with many people skiing behind the boat over the years. 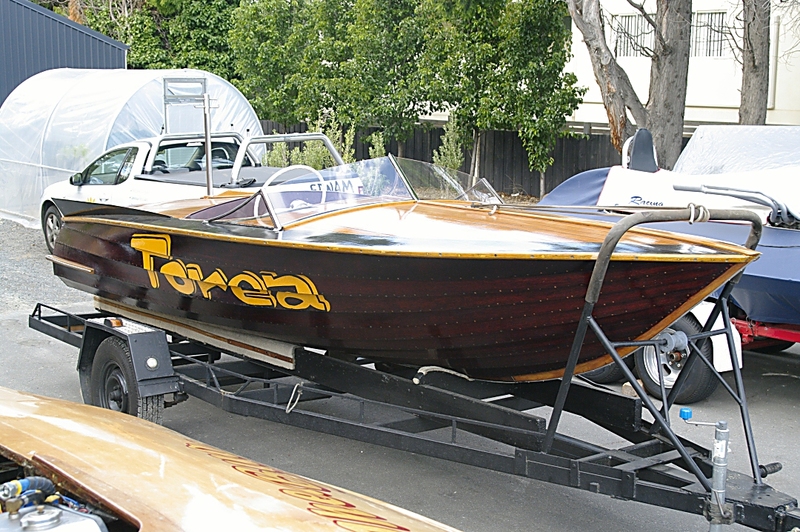 Due to the torque of the early 313 Chrysler V8, Torea could easily pull 5 skiers. A regular group of people used the boat until their interests changed and the owner decided to sell. 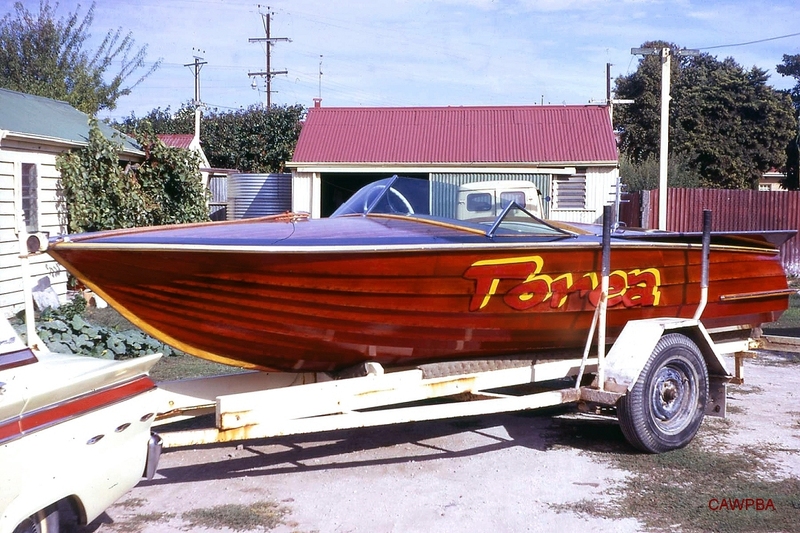 Torea only ever raced once, at Stansbury, South Australia and won a local trophy. The boat was always kept in immaculate condition. Every time it was used the engine was flushed with rainwater and the hull washed down. 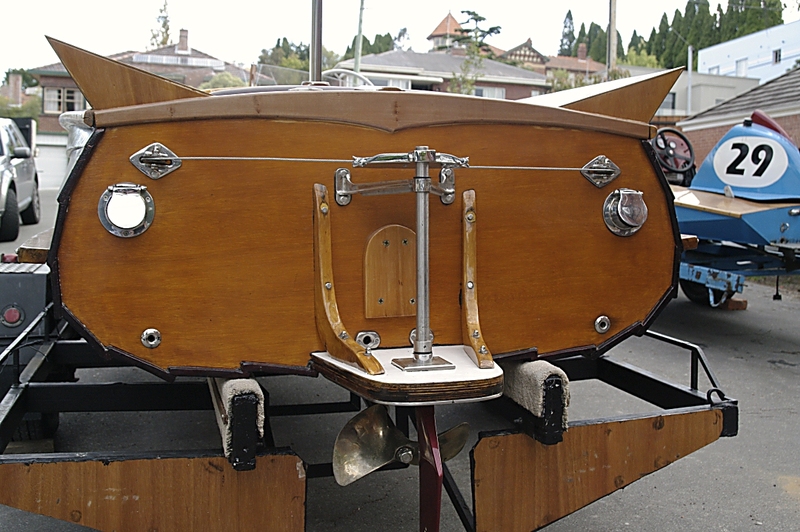 When not used, a sprinkler was placed up the front of the boat to keep the planks swelled. The only problem that the owner ever had with the boat was a thrust bearing that needed replacement. The boat was sold in the early eighties to a local who, after using the boat a few times, removed the deck for some reason. Apparently the deck, windscreen, deck fittings and original wings were taken to a rubbish dump. Torea lay in pieces for years until a local offered the owner $400 for the boat with a view to just buying the boat for the engine. The sale was done and the original engine was transferred into another clinker boat. Torea remained in a shed at Warooka in SA. The hull was spotted in the early nineties lying in the shed and although purchased with a view to restoration, other commitments got in the way. Torea sat for another 15 years in a shed, until that owner decided to sell. 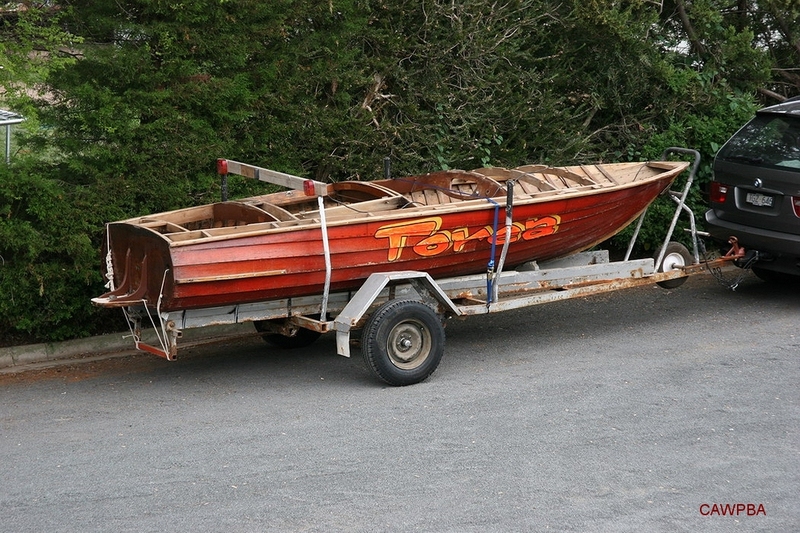 Sold again, with the original trailer having seen better days, Torea was carefully hoisted onto a truck for the careful trip to eastern Victoria. Although Torea has not seen water in over 30 years, the hull itself is in excellent condition, with no broken ribs or planks, and is entirely original down to the hull stain. 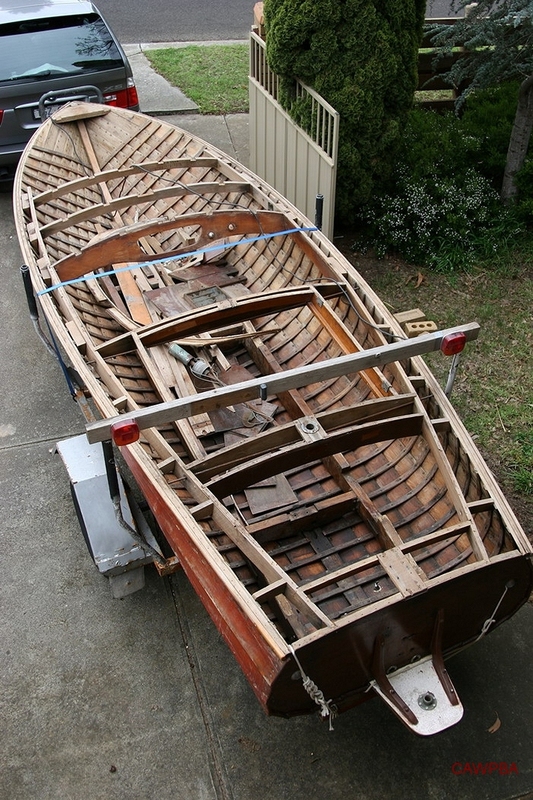 Other commitments forced the sale of the boat again, which saw it heading to Tasmania. If anyone has any information regarding the boat, please contact Chris. The boat looked a treat with everyone congratulating Chris on the faithful restoration and of a job well done. Another excellent example of a mid 60's winged Lewis hits the water.